Is there any documentation on how to use Project Windows? I recently upgraded to the pro version of MultiMarkdown. Is there any documentation on how to set up a project window? I looked in Preferences under "Pro Features" and did not find anything. Should I be looking elsewhere? Brief response since I’m not at computer this weekend. markdown editors on the market and this one remains a favorite. 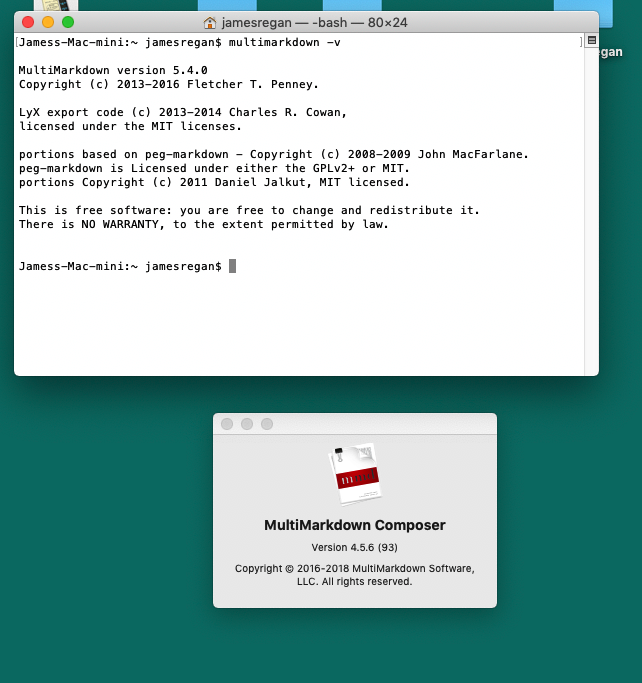 I recently purchased Multimarkdown Composer 4.5.6 from the AppleStore. MMD built-in -- it doesn't rely on a separate binary. upgrading to version 6. But otherwise, I wouldn't worry about it.